Starting an SME will take commitment, hard work and a healthy dose of good, old-fashioned guts. That’s the view of Gerrie van Biljon, executive director of Business Partners Limited. 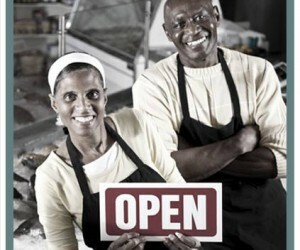 Van Biljon says challenges such as strikes, load shedding and e-tolls reinforce the statement that starting and running a business is not for the faint-hearted. But, he says, it is more helpful to think of it as “not for the unprepared”. “There are always business opportunities to capitalise on. Good entrepreneurs will identify these opportunities. A good entrepreneur can transform an idea into a business concept and with hard work, passion and dedication, will run a successful business”. He says it is prudent for each business owner to understand what can possibly go wrong in the business, and somehow be prepared for it. This may involve thinking about the risk, the possibility of it happening and what you would do in such an event, and in many cases a backup plan is simple and easy to implement. “The secret is that you, as the entrepreneur, considered it and that you are prepared,” says Van Biljon. In a developing country where a young constitution is transforming long-established laws, new legislation, such as the Consumer Protection Act, is high up on the list of macro environmental risks. Labour unrest, with its ability to paralyse entire industries, is beyond the control of any owner-managed business. “A business unprepared for labour volatility is vulnerable. Joining industry bodies and employer associations can form an important part of managing the risk,” says Van Biljon. Labour unrest, he says, destabilises the economy and has a major effect on those considering investing in a business. 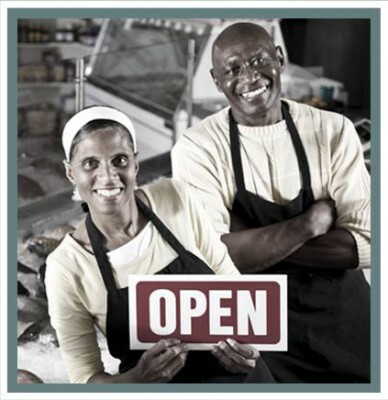 The effect of labour unrest on a business could be devastating and may not only result in lower income, but may result in the closing down of the business. Apart from these macro risks, business owners also face a range of micro risks – those dangers inside a business over which the entrepreneur has control. He recommends that entrepreneurs analyse their business every six months and sort all the risks facing the business into various categories such as market risks or operational risks. “With a plan in place, South Africa becomes an exciting and fertile place in which to build a business. South Africa offers the environment to accommodate entrepreneurship and growth. It is a developing economy, which in itself means business opportunities.